The mission of the Alliance Area Retired Teachers Association is to support legislation that will benefit educators and to provide volunteer service for community agencies. The Alliance Retired Teachers Association (ARTA) was formally established at the home of Mabel Hartzell on Saturday, October 23 1948 with eleven retired teachers in attendance. Mrs. Frances Vaughn was its first elected president. In 1980 the name was changed to the Alliance Area Retired Teachers Association (AARTA) with no set geographical boundaries. The 1867 home of Miss Hartzell (retired Alliance teacher and prominent business woman) has been preserved as the Mabel Hartzell Museum and is listed on the National Register of Ohio Historic Places. In 2009, Miss Hartzell's contributions to the Alliance Community were acknowledged by an Ohio Historical Marker. Many AARTA members, by social organizations or by affiliation with community agencies and schools have been featured or publicly recognized in local and county newspaper articles that laud their spirited benefaction in respective communities. AARTA members have expanded the association's loci of activity via association-sponsored projects and association-sponsored community activities. 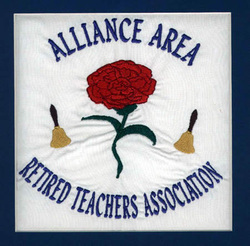 The Ohio Retired Teachers Association has recognized AARTA's growth with achievement awards for Community Service, Informative Services, Membership, Legislative, Public Relations and itsSchool Bell Newsletter. AARTA Luncheon meetings are held six times a year (April, June, July, September, October and December). Please see below for date, time, and location. The AARTA Anniversary luncheon-meeting is held in October.